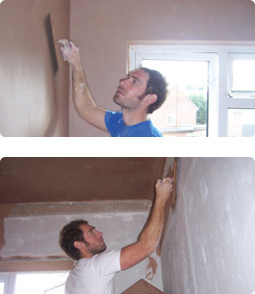 S J Coggon plastering has been established for 16 years offering plastering services in Watford and surrounding areas. We offer a first class service to all our customers and a great number of them continue to use us for all their plastering needs time and time again. We offer a high quality and professional finish to all our work and pride ourselves in being reliable and well respected. We have competitive prices and our skilled workforce means that we complete jobs on time and with maximum satisfaction. Getting started . . . If you would like us to provide you with a free, no obligation quotation please call us on 01923 244 725 or 07903 504 174.